Small but mighty: Does your Magento site measure up? Magento isn’t just for massive e-commerce sites with tons of traffic and inventory. If you have a smaller online store, the iconic e-commerce platform can work for you, too. You just need to scale it down and tailor it to your individual storefront, and you’re good to go. Small e-commerce platforms need the same basic things large platforms do: reliability, speed and an engaging user interface. And they need to provide the same types of benefits for their customers: rapidly-loading product pages, worthwhile content and (most important of all) a simple, intuitive checkout process. All online shoppers want a streamlined shopping experience – and whether you’re a larger or smaller company, your Magento platform can provide that experience. However, there’s one main difference between larger and smaller stores that choose the Magento platform: Smaller companies often don’t have the budget or resources for a dedicated, managed server. (And they usually don’t need the resources and bandwidth of a dedicated server, anyway.) So what type of hosting makes the most sense to support a smaller version of the Magento platform without breaking the bank? That would be managed, shared Magento hosting, of course. More efficient seasonal performance. The holidays are crucial for any retailer – brick and mortar or online. Your Magento store can help you capitalize on seasonal marketing trends – giving you the tools you need to create a streamlined, pleasant shopping experience for this yearly influx of site visitors. And managed hosting will support traffic spikes and increased pageviews, without compromising on loading time or security. Better access to analytics. A good Magento hosting company will allow you to take advantage of all the e-commerce platform’s extra “goodies”: customer insight, reporting tools, advanced analytics and more. When you know more, you can provide a more personalized shopping experience tailored to each of your customers. Lightning-fast page load speeds. Want to turn off potential customers and keep them from coming back? Make sure you have an e-commerce site that takes forever to load... buffer.... load .... buffer.... and finally finish loading. Oh, that wasn’t what you wanted? Then you’d better make sure you’ve picked a managed hosting provider that doesn’t cram too many sites on a server. You’d also better make sure your Magento host has experience optimizing the platform to run as quickly as possible: without expert management and maintenance, Magento tends to slow... down.... fast. No matter whether your business is large or small, Magento can help you. And a managed, shared hosting plan can help you get the most out of Magento. It’s a win-win situation. 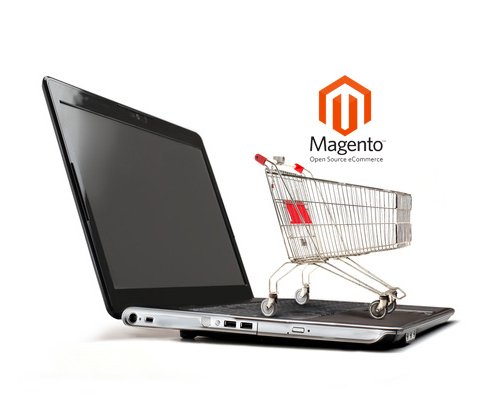 For more on speeding up Magento and managed hosting for E-commerce, check out our articles here.